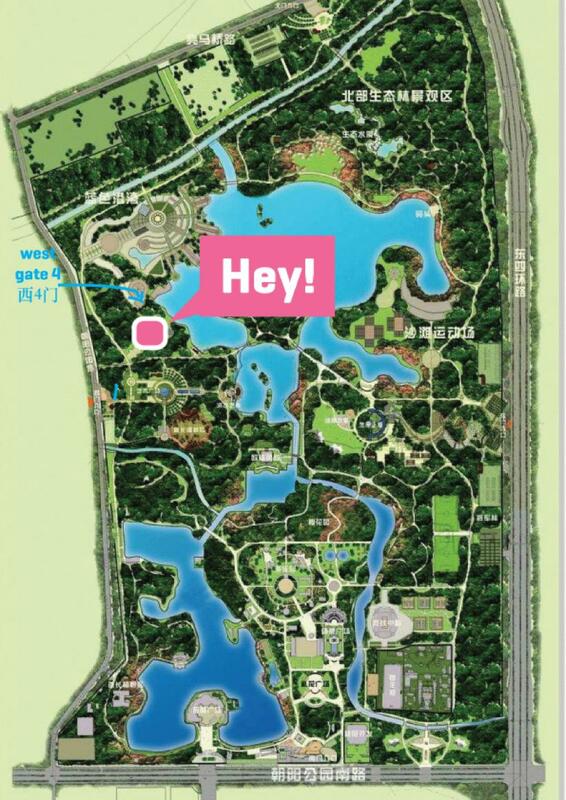 Chaoyang park, west gate 4! Hey! Here’s our Chaoyang Park West Gate location! Enter through the West Gate 4, go straight about 100 meters along the road in your right front direction, cross a big open square, you will find us!